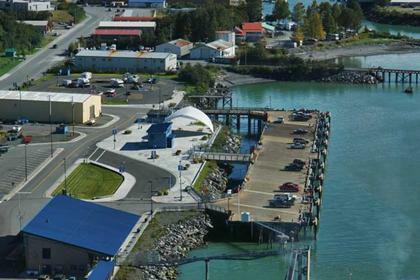 The Kelsey Dock is a 600 ft. wooden wharf featuring a newly remodeled fendering system. Water depth at the dock is 35 feet at MLLW. The Kelsey Plaza is available to rent for events such as company picnics, graduation parties, and other special events. Please contact the Port Office at (907) 835-4564 for more information on renting the facilities.